Head down to the south of France, and you’ll find yourself in some of the finest wine country on earth. Quite why this part of the world is so successful and prodigiously inspiring when it comes to winemaking is a bit of a mystery. Is it the thousands of years of history? Are the soils really that much better than elsewhere? Is there something in the water? It’s hard to put your finger on what continues to give these regions such distinction, but it’s most probably a combination of all the above, plus the fact that here, expertise, skills, techniques, and approaches have been handed down for generations, ensuring that the wines just get better and better as the decades and centuries roll on. 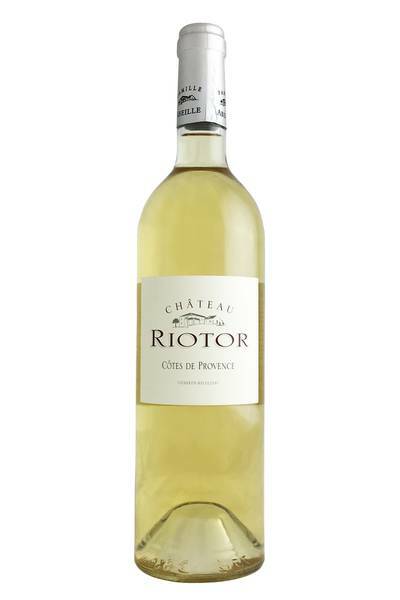 You get a real sense of that at Chateau Riotor, a beautiful winery in Provence which oversees some truly stunning southern French vineyards, and which consistently brings out bottles which not only do justice to the region, but which also get people sitting up and taking notice. No mean feat in a part of the world where tradition reigns absolutely supreme. Provence is ground-zero for bone-dry rose, and as such, it's often easy to overlook the other wines from the region. Made from white grape Vermentino (or Rolle as it known locally), this is a beautifully perfumed, complex, citrusy white wine of medium body that partners perfectly with most seafood dishes. The nose is an intriguing mix of aged Riesling and Chardonnay - notes of beeswax, cream, honey, and vanilla are mixed with pear, melon and a hint of saffron. The palate has some zippiness but also has a roundness and a softness to it that is really appealing. 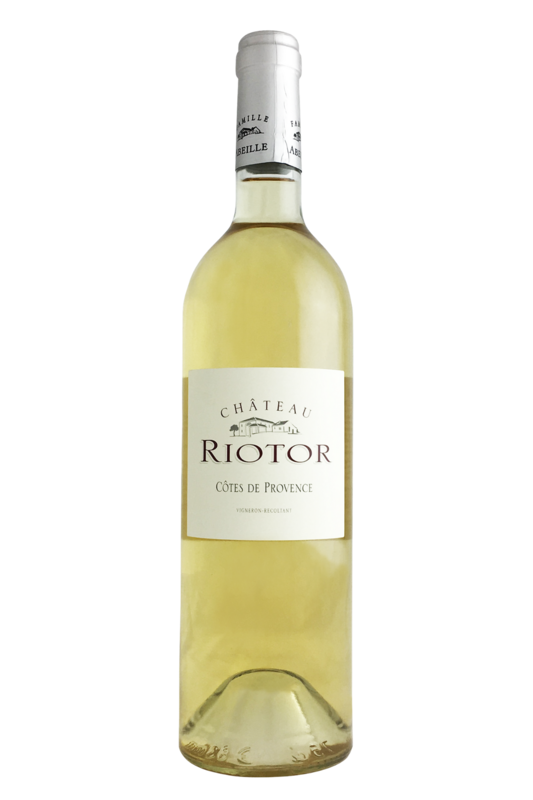 Complex, dry and really versatile at the dining table, this is a great introduction to the white wines of Provence. Provence is ground-zero for bone-dry rose, and as such, it's often easy to overlook the other wines from the region. 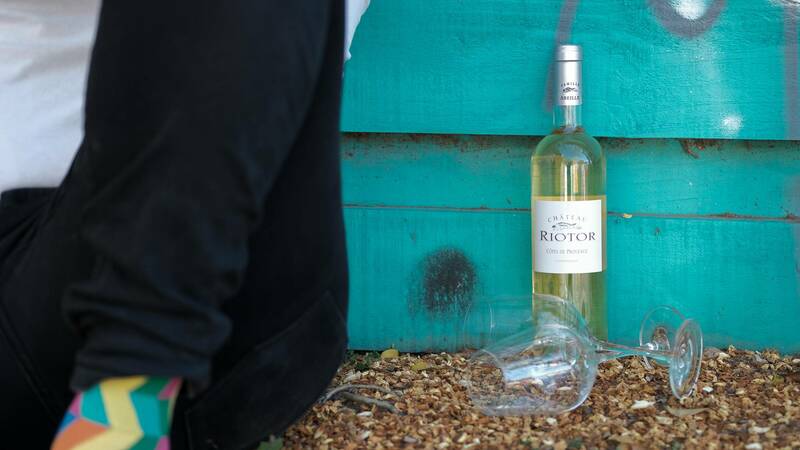 It’s impossible not to get excited by the prospect of pairing food with a great bottle of Vermentino, like this gorgeous example from Riotor Blanc. This is a wine which bursts with freshness and bright citrus notes - perfect for slicing through all kinds of flavours and acting as the ideal palate cleanser. We love serving this wine alongside summery dishes like crab pasta, grilled sardines, anything with mixed seafood, and chilled pasta salads. It’s also going to work a treat with trick-to-pair-with veggies like artichoke and asparagus, and all kinds of dishes featuring green peas and other bright and tasty greens!